Dreaming of that luxury island hideaway? 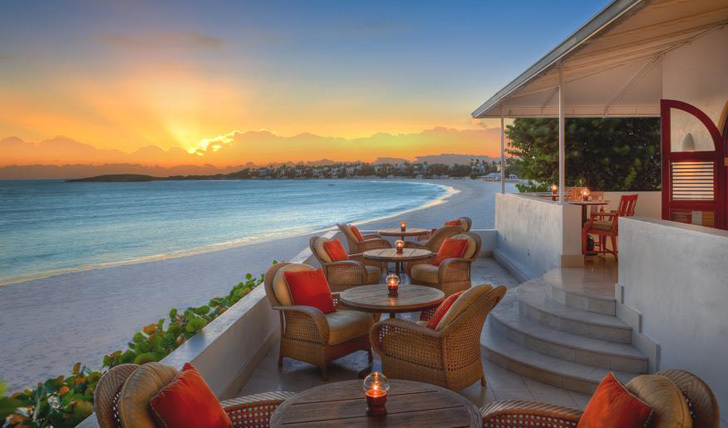 Anguilla’s exclusive Cap Juluca resort offers a perfect solution to realising that dream. Situated on an island that boasts over 30 white sand beaches and oozes tranquillity, Anguilla epitomises the beauty of the Caribbean. With its own mile long stretch of white sandy beach and accommodations of outstanding luxury, Cap Juluca encapsulates the true Caribbean beach experience. Overlooking the mountains of St Maarten and the southwest coast of Anguilla, Cap Juluca stands on 179 acres of stunning land and inland waters. Whilst offering the privacy and seclusion you would expect from an exclusive Caribbean island, you’re still only 25 minutes by boat from St Maartens and 45 minutes by boat from St Barths, so you really do have the best of both worlds. If you’re anything like us, the location alone is enough to fall in love with this resort. You’ll be staying in one of the eighteen beachfront villas, each housing no more than 6 rooms or suites. 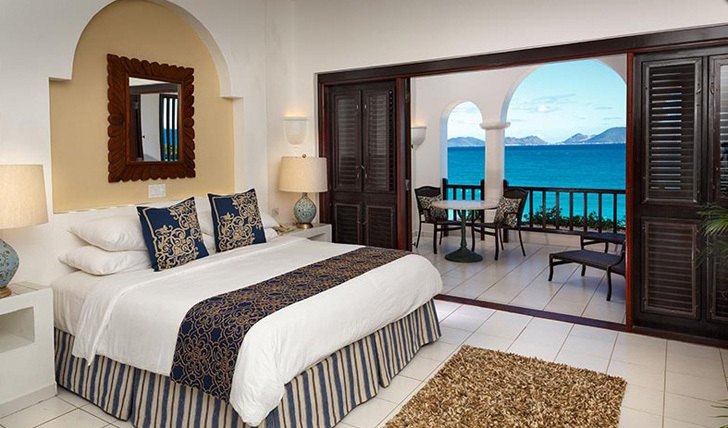 Each of the rooms room has an ocean view and are never more than a few steps from the famous white Caribbean sands, so you’ll always wake up to the calming sound of the waves gently lapping the shore. Featuring marble bathrooms, your own private outdoor area, a choice of 6 pools and an unspoiled expanse of beach to explore; you can expect incomparable luxury from your stay here. There’s nothing quite like waking up each morning only a few yards from the crystal blue waters of the Caribbean Sea, but it’s when you step down on to those warm sands each morning to be greeted by the resort’s wonderful staff that the vacation feeling really kicks in. Cap Juluca’s beach staff are attentive and welcoming, providing you with an unrivalled service. Kick back on the beach’s Chaise Lounges and indulge in the chaise side beverage and meal service before taking a stroll to any of the five cabana bars that are spread out along the beach. However you choose to spend your day, one thing is guaranteed; you’re going to be treated like royalty throughout.